Appropriate for undergraduate Sociology courses on professions and on occupations and work. 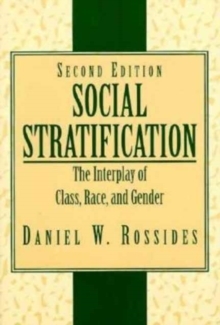 Also useful as a supplemental text in courses on Social Stratification, The Sociology of Knowledge, The Sociology and History of Science and Technology, Social Problems, Education, Business, Public Policy, and in courses in which various professions and disciplines assess themselves. 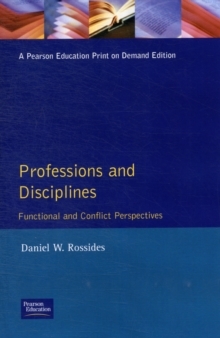 The text provides the first comprehensive analysis and evaluation of what we know about professions and disciplines. 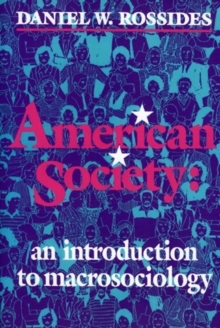 The text's main theme focuses on a neglected dimension of our professions: How well do they perform social functions, or do they solve social problems or merely the problems of upper-level individuals and groups? 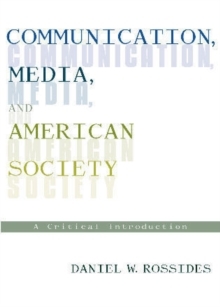 The book uses the interpretive method to demonstrate, among other things, that the professions and disciplines are inherently interpretive and essentially political.